We offer wide range of Digital Conductivity TDS Meters with 3½ digit LED display with facility for temperature compensation and digit cell constant adjustment along with conductivity cell & other accessories (Table Model). 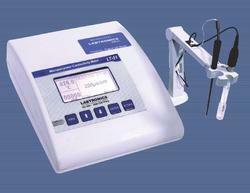 Placed amongst the foremost suppliers, we are a far famed for the outstanding Microprocessor Conductivity Meter. We own a substantial warehouse to keep the stacked products safely until final dispatch. With the leading technologies and automated systems, we ensure that the fragile products are sternly packed and piled up systematically. Appearance & specification subjected to change due to continuous development.